Energy consumption and energy costs in correlation to T-STRIPE differ between households, depending on size and number of windows that are going to be equipped with the T-STRIPE heating system. 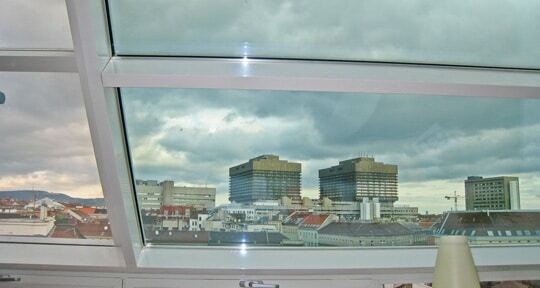 Size and number of windows directly influence energy costs. Example of T-STRIPE being hidden underneath an aluminium bar. having to wipe your windows daily. increase comfort and environment quality in your rooms.